If VSAN has detected a disk previously failed by LSOM (Local Log Structured Object Manager – the internal part of VSAN that works at the physical disk layer), the disk will be unmounted. This could be due to non-transient/recoverable IO error or 60 second aggregate IO timeout. This will cause the disk/diskgroup to be unmounted, but VSAN will attempt a re-mount immediately afterward in the hope that marking the disk as failed was premature and any problem causing the failure is transient in nature and has been recovered. However if the failure is persistent, VSAN will not be able to remount the disk/diskgroup. 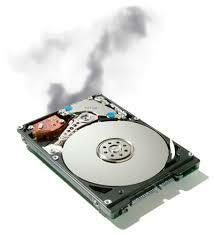 Many instances of LSOM failed disks are due to one or more lost I/Os involving a flaky driver/firmware/adapter. A vCenter Server event message indicating that a disk/diskgroup has been unmounted which should be visible via the vCenter client’s monitor events panel for the particular VSAN host. A reference to “failed” as opposed to “unhealthy” in the vmkernel.log message indicates that LSOM detected that the disk failed (the second scenario from the list above). The reference to “diskgroup” in the same log message indicates that the entire diskgroup is being unmounted as opposed to a single capacity tier disk. Note that this will be the case when (a) the disk that failed in LSOM is the cache device of the disk group or (b) this is a diskgroup on an all-flash VSAN with deduplication has been enabled (thus a disk failure impacts the whole of the disk group). “esxcfg-advcfg –set 1 /LSOM/lsomSlowTier1DeviceUnmount” <- should this not be '0' because isn't '1' the default i.e. ENABLED? That’s the point – we no longer automatically unmount it. If you want to have it unmount, set that parameter to 1.